This Christmas, the R+M elves were at it again. 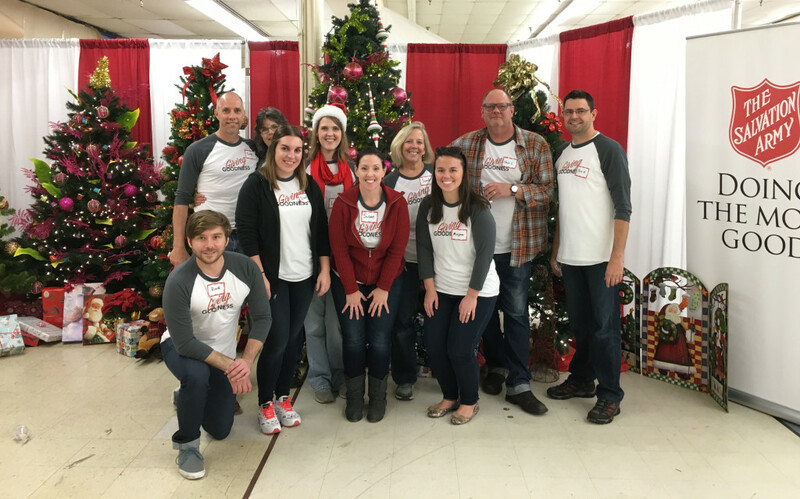 For the second year in a row, we donned our #GivingGoodness shirts and holiday spirits, and made our way over to The Salvation Army to spread the merry. As a proud certified B Corporation, R+M pledges to our clients and community to hold ourselves to a higher standard. That’s why last year, we launched our #GivingGoodness movement, which aims to inspire conversations and actions focused on giving throughout the year. This year, we returned to The Salvation Army to assist parents in picking out toys, games and clothing for their children. A few R+M elves even got to staff the prize wheel, where more than 800 bikes were given away! (Said elves had slightly hoarse throats the next day from so much gleeful yelling!). In total, nearly 4,000 families came through The Salvation Army’s Christmas Warehouse over the course of three days to pick out almost 17,000 toys for more than 8,000 children in the Triangle. Our faces are still sore from all the smiling. While we chose to focus our Christmas #GivingGoodness efforts on The Salvation Army, R+M supports a variety of nonprofits throughout the year and would encourage you to check out any of the following wonderful organizations: PLM Families Together, Triangle Family Services, Interfaith Food Shuttle, Raleigh Rescue Mission, and the YMCA. Follow the #GivingGoodness conversation on Facebook and Twitter to check out some photos from this year, and to tell us your company’s traditions for giving back. Or learn more about our #BCorp status and our commitment to using business as a force for good.